The How to Run Your Business Program is focused on helping clients develop their businesses ideas and growth plans. The program is sector agnostic and is focused on helping entrepreneurs that are ready to take their business idea, or existing business, to the next level. Date: May 30 – June 29, 6:00 p.m. – 8:30 p.m. Using the Creative Business Model Canvas approach – a lean and flexible business modeling tool– you’ll learn the core concepts of testing ideas, assessing feasibility and the process for implementation. Case studies, group discussion and break-out sessions make for a hands-on, practical learning experience. By starting smart, you’ll save time and money in the long run. This workshop will benefit any creative seeking to learn the fundamentals of business design, test a new business idea, or expand an existing business. Date: June 3, 2017, 10:00 a.m. – 4:00 p.m.
Join business leaders and elected officials from the southeast U.S. and eastern Canada for this three-day conference aimed at increasing business on both sides of the border. If you are looking to expand your business, this event is where you need to be. This year’s conference, “Good Agreements Prevent Disagreements”, will discuss some of the more common business agreements. The goal is to provide attendees with an understanding of clauses customarily included in standard agreements, to help attendees assist their counsel in drafting business agreements which reflect the business purpose and cover the eventualities, and to limit the liability that may face the business during the execution of the agreement. Date: June 5, 2017, 8:00 a.m. – 5:30 p.m.
Robert Murray has created a simple approach to developing an organization’s Vision, Purpose, Values and Strategies. He has built plans for over 100 organizations around the world and will share his experiences in his presentation. CEOs, CFOs, small to medium business owners, entrepreneurs are encouraged to attend this event. Date: June 6, 2017, 7:30 a.m. – 10:00 a.m.
CERBA is inviting you to a round table with H.E. Ala Beleavschi, Ambassador Extraordinary and Plenipotentiary of the Republic of Moldova. The trade policies promoted by the Republic of Moldova are mostly geared towards attracting investments in the national economy which are capable of innovation, transfer of know-how and competitive goods for domestic and foreign markets, high added value and creating efficient technical and economic infrastructures in order to maximize the existing economic potential. Date: June 7, 2017, 3:00 a.m. – 5:00 p.m.
Keiretsu Forum is the world’s largest angel investor group with 50 chapters in 23 countries and 3,000+ members. The global network allocated USD$ 73 million into 168 growth stage companies during 2016, making it the most active angel investor organization on the planet. We are proud that Central Canada will be hosting its third annual Angel Capital Expo in Toronto. Join us for a full day of deals: 30+ companies ready for investment and distribution. Attend our exceptional networking and connect with 250+ investors, venture capitalists and 60+ entrepreneurs! Date: June 8, 2017, 7:30 a.m. – 6:30 p.m.
Indo Canada Chamber of Commerce (ICCC) in collaboration with Consulate General of India in Toronto, supported by Government of Canada will hold a Canada India Business Symposium with Business Expo. The symposium will have an inaugural session on June 9th Morning, followed by plenary sessions and Business Expo. The event is expected to be attended by Canadian Federal ministers, provincial premiers and mayors of various cities among others. Date: June 9, 2017, 9:00 a.m. – 6:00 p.m. Annual Awards & Gala Night 2017! Date: June 10, 2017, 5:30 p.m. – 10:00 p.m.
Canadian Association of Professional Speakers – The Leader’s Voice: Expand your Influence. Unleash The Extraordinary. You’ve successfully delivered your keynote a dozen – or a hundred – times. And yet, you’re starting to feel as if something is missing. It needs more impact. It needs a fresh perspective. It needs to increase its emotional power. Or, perhaps, you’re launching a brand new presentation and need some expert advice to make it come alive… Tap into the secrets of a seasoned Speaker Coach and movie trailer director’s expert cinematic approach to ignite your keynote and create a lasting impact on your audience. Date: June 12, 2017, 1:00 p.m. – 4:00 p.m.
Canadian Association of Professional Speakers – The Trailer Code. Set your message in motion and Unleash the Extraordinary! Discover the secrets of immersive cinematic and narrative techniques to zero-in on the essence of your message and get the attention it deserves! The limits of your influence are defined by your capacity to express your vision. Tips from a Hollywood Movie Trailer Director to harness the immersive power of Movie Trailers and Unleash the Extraordinary! Date: June 12, 2017, 6:30 p.m. – 9:30 p.m.
join Victoria Turner, Executive Coach, Your Power Outlet, who will share her personal story and professional experiences. She will highlight how to develop authentic self-promotion strategies, how to bring them forward and why it can help your professional success. Studies show that self-promotion is the best way to boost your performance in an organization, and this session will equip you with the willingness to do what you have been avoiding and self-promote. Date: June 13, 2017, 7:30 a.m. The Art of Leadership for Women features a unique combination of extraordinary women who have established themselves as dynamic and successful leaders, and attendees who bring diverse perspectives to the table. It is an event about shared vision and connecting with like-minded people who know where you are coming from and where you want to go. Date: June 13, 2017, 8:30 a.m. – 5:00 p.m. The Belgians In Canada series allows BCBC (Belgian CanadianBusiness Chamber) members to share the key elements of their success. Anthony Han, Executive Director, iOPW inc.
Join us as we welcome the founder of War Child, global humanitarian, and best-selling author Dr. Samantha Nutt to the Women of Influence Evening Series podium to talk about what makes an effective leader stand above the rest — and how we can all become one. As a medical doctor, global humanitarian, and expert authority on current affairs, and foreign policy, Dr. Nutt is an exceptional leader who will inspire you to rise to the occasion. Date: June 14, 2017, 6:00 p.m. – 8:30 p.m. Date: June 15, 2017, 5:30 p.m. – 8:30 p.m.
From June 18 – 22, 2017 a German business delegation will be visiting Toronto and Ottawa in order to explore the market potential for their proven security technologies and solutions and establish new business contacts. This program takes place in the framework of the foreign market entry program initiated by the German Federal Ministry for Economic Affairs and Energy. Date: June 20, 2017, 8:30 a.m. – 4:00 p.m. Date: June 21, 2017, 10:00 a.m. – 7:00 p.m.
Do not miss the chance to hear firsthand about the Toronto Region’s wins, challenges & opportunities. Immediately following the Board’s Annual General Meeting, members and guests are invited to join us for our Annual Luncheon, featuring a keynote address from His Worship John Tory, Mayor of Toronto. As Toronto continues to earn global attention for its embrace of diversity and vibrant economy, the Mayor will speak about seizing that momentum to build a modern, competitive and equitable city. Date: June 21, 2017, 12:00 p.m. – 2:00 p.m. If you are in leadership or human resources and interested in accessing a proven business case for sponsorship, or an emerging leader looking for opportunities and insights to engage with a sponsor and advance your career, this conversation will leave you inspired and prepared to take the next step. Date: June 21, 2017, 11:15 a.m. – 2:00 p.m. CREW Network has chosen Toronto for its 2017 Spring Leadership Summit. Toronto CREW members will have the unique opportunity to attend a CREW Network Event in our own city. You will network with CREW members from across North America, participate in engaging training opportunities and attend restaurant dine-arounds. Attendees will receive first hand updates about the mission and initiatives of CREW Network while we showcase our amazing city to our out-of-town guests. The Rotary Club of Toronto proudly presents Roberta Jamieson, a Mohawk woman who has enjoyed a distinguished career of firsts. She was the first First Nation woman in Canada to earn a law degree; the first non-parliamentarian appointed an ex-officio member of a House of Commons Committee; the first woman Ombudsman of Ontario; and the first woman elected Chief of the Six Nations of the Grand River Territory, where she continues to reside with her family. An accomplished expert in alternative dispute resolution, Roberta also served as Commissioner of the Indian Commission of Ontario. HITEC offers a unique combination of top-notch education and the world’s largest hospitality technology exposition. Sessions are led by industry peers and experts, and the unparalleled expo showcases the latest industry products and services from over 300 companies. Date: June 27, 2017, 8:00 a.m. – 5:30 p.m. The Hospitality Sales & Marketing Association International (HSMAI), is pleased to announce that for the first time in its fourteen year history, ROC comes to Canada, bringing together more than 600 hotel revenue management executives for education, collaboration, and innovation. The event will be co-located with HITEC 2017, the world’s largest hospitality technology show. What’s the difference between a brand and a trademark? Find out at our session when we discuss the definitions and how your brand and/or trademarks may impact your business. We’ll also discuss choosing and protecting your trademark and the best way to register the mark. Date: June 28, 2017, 4:00 p.m. – 5:30 p.m. 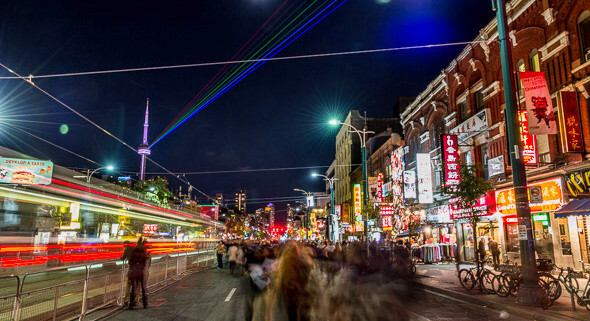 The Luminato Festival was born out of the cultural and creative energy of the city of Toronto and has become one of the preeminent arts festivals in North America. 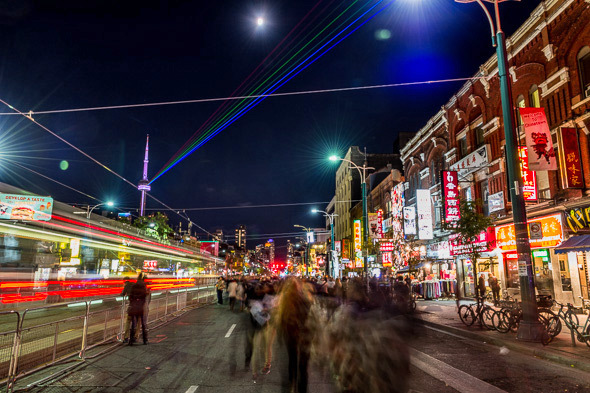 An event for people who are open to having art change their outlook on the world, the Luminato Festival transforms public spaces and creates a home for artists to play, share and create. Date: June 14 to 25, 2017. Fort York is transformed into a foodie wonderland for four days of summer eating, drinking and entertainment. Operating much like a restaurant with lunch and dinner services, the festival comprises six half-day sessions, which last four to five hours and give guests the time to savour their pick of restaurant dishes, browse the artisan stalls and enjoy the many attractions all in a lush outdoor setting. This year’s chef line-up ranges from household names to emerging super stars. Grant van Gameran (Bar Isabel and Bar Raval), Trevor Lui (Kanpai Snackbar) and Claudia Bianchi (Actinolite) are just a few of the leading culinary masterminds in Canadian cuisine brought together by Taste of Toronto. Known for presenting the best in Canadian and international talent, past concert performances include Sam Roberts, Jann Arden, Tom Cochrane, Chantal Kreviazuk, Colin James, Kathleen Edwards, Suzie McNeill and Bruce Cockburn. The children’s stage is home to popular TV stars like The Backyardigans, Max & Ruby and Dora the Explorer, while the Family Fun Village offers stilt walkers and fire-eaters, exciting water shows, interactive sports activities, delicious food and unique crafters. North by Northeast (NXNE) is a 10-day summer festival destination for emerging artists and major-label headliners and for digital interactive innovators, bridging the gap between technology and the arts. NXNE is an essential gathering spot for artists, industry professionals and fans. in 2017, NXNE includes a major three-day music festival June 23 to 25, situated in the Port Lands at Cherry and Commissioner Streets. Among the dozens of major acts coming, the 2017 headliners are Passion Pit, Tyler The Creator and Post Malone. This “festival within a festival” also features comedy, food, art installations and midway rides. In its 30+ year history, the TD Toronto Jazz Festival has become known as one of North America’s premier jazz festivals. Ten days of performances at 40 locations around Toronto offer a range of styles of music and venues from funky bars to elegant halls. Featuring the Toronto Symphony Orchestra & Women’s Chorus from Amadeus Choir and the Elmer Iseler Singers, conducted by Justin Freer. The tour will feature a live symphony orchestra performing, to picture, every note from Harry Potter and the Philosopher’s Stone™. Audiences will be able to relive the magic of the film on a high-definition screen while hearing the orchestra perform John Williams’ unforgettable score. Date: June 27 – 29, 2017, 7:30 p.m.
Run or walk to raise funds for lifesaving cancer research! No fundraising minimums. Join us this Father’s Day in the fight to conquer cancer in our lifetime. Support any area of cancer research with no fundraising minimum! With 5K, 3K or 1K options available, everyone can join in the fight to conquer cancer in our lifetime. The Journey to Conquer Cancer is a special event for a number of reasons. 90% of your fundraising dollars goes directly back into YOUR CANCER AREA OF CHOICE, you can run or walk in support of any area of cancer research, clinic, lab or patient care programs at the Princess Margaret Cancer Centre.